AustralianRacingGreyhound.com was founded in 2006 with the sole purpose of providing an avenue for greyhound fanatics to find relevant information and news about the sport they love. 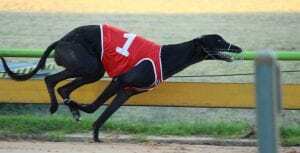 While other sites have come and gone, ARG, as we call it behind the scenes, has continued as a reliable, independent guide to Australian Greyhound Racing. 2017 heralds a new dawn for our site and in many ways for the sport with a greater emphasis on animal welfare and accountability in the industry. We vow to cover the hard topics with accuracy and without favour to anyone, barring our own integrity. We believe greyhound racing in Australia has a bright future and we intend on being around for the long haul. Australia is home to the strongest greyhound racing in the world but it is also a divisive sport among the public. It is the second biggest racing code behind the thoroughbreds and accounts for roughly 23 per cent of the TAB’s turnover. To put it bluntly we love to wager on the dogs, whether it be at various clubs and pubs across the country, or at online betting sites. Greyhound racing is held 364 days of the year and is held in every state in the country, with some of the richest races including the Melbourne Cup, held at Sandown Park; the Golden Easter Egg, at the soon to be demolished Wentworth Park; and the Australian Cup, held at The Meadows. The sport has recently made mainstream media after the NSW Government firstly banned greyhound racing in the state from July 1, 2017, before bowing to public pressure and reinstating it, just months later. It has also been in the headlines for the wrong reasons in recent years as the live-bating expose on the ABC’s 4 Corners uncovered acts of animal cruelty, eventually leading to big changes in public expectation on participants. Greyhound racing moves into the second half of 2017 with a fresh lease on life and a renewed focus on what is important, the beautiful animal that can run at 70km an hour. Despite being the second fastest land-animal, many people would be surprised to know that greyhounds are actually docile, lazy and loving creatures. Their bodies are built for short bursts of energy, which is why greyhound races are all over 700m or less. Outside of these exercise periods, greyhounds can be found lounging around, sleeping and building their energy levels back up. Because they are such laid back dogs, greyhounds make excellent pets for a wide variety of households including singles, professionals and families. Greyhounds are generally happy as long as they have a backyard to run around in and/or go for a short walk each day – much like a normal dog. In recent years, much of the racing industry’s focus has been on welfare and ensuring that as many of these majestic creatures as possible are given the chance to live full, happy and enriched lives after their careers as racers are over. Because of the drive to rehome greyhounds, there are now more adoption agencies than ever who specialise in finding homes for ex-racers and those not suitable to make the track. Each state industry body, such as Greyhound Racing Victoria (GRV) runs its own adoption program, whilst there are also many more private and non-industry funded adoption agencies around the country helping find greyhounds their forever homes. AustralianGreyhoundRacing is part of the Race Media kennel and is proudly owned and operated by Australians. It was founded by greyhound fanatics who have worked in the industry for several decades, as owners, trainers, commentators, critics and most importantly punters. Race Media is a website ownership and content provision company which has no official ties to any official greyhound bodies, or allegiances with political organisations. Greyhound racing is a exciting sport to wager on for a number of factors including the fast pace of the events, which often go for just 25 seconds, and the sheer volume of races held each day, across Australia, New Zealand and various other nations around the world. 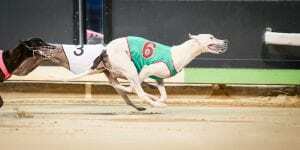 Australian Racing Greyhound offers free tips on every major metropolitan greyhound race in the country, as well as keeping tabs on the industry news and latest developments with our betting partners. There are many online bookmakers that have betting in Australian greyhound racing with most of these licensed to operate in Australia. This means they are governed by a body like the Northern Territory Gambling Commission, or one of the various gambling authorities based in Australia. They will offer all-in markets on the bigger race series that take place, which means you can back your dog, or one you fancy before the heat of a run, which allows you to get in before others see exposed form. 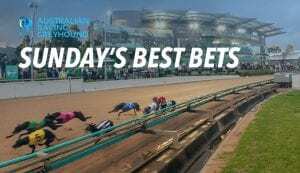 The main type of betting, though, is on race day and usually involves backing the dog you think will win a certain race in the hours or minutes before it jumps. There will definitely be subtle variations in odds and this can often be a good reason to check several bookies before you place your wager. Fancy a bet on the greyhounds but don’t know what to do next? Picking a winner can be hard and there is no fool proof solution to lining your pockets with cold hard cash, however there are strategies punters use to maximise their chances of landing a return. For example, some punters follow certain trainers, some only back dogs which have drawn box one and others only wager on greyhounds which exhibit early speed in their races. There are other things to consider as well – is the dog you want to back suited by the distance, the track and what is its recent form like? Is it up or down in class? Of course, there is a multitude of additional factors which can impact on the final result of each race, but our best advice is to find a system that works for you and sticking to it – never second guess yourself. Think you have a great strategy for finding a winner? We’d love to here it! Reach out to us on Facebook or Twitter and tell us your best tips for winning big on the greyhounds. 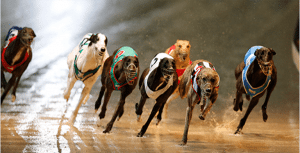 Australian Racing Greyhound has a specialty greyhound odds comparison service, which operates on every Australian, New Zealand and United Kingdom greyhound meeting. 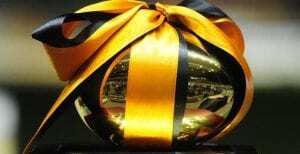 It pilfers the best odds from various Australian bookmakers and presents them in an easy to use interface, on both desktop computers and mobile devices. It pays to use services like our odds comparison engine, before you place wagers, because even slightly better odds can enhance your punting profits and hopefully make you a winner in the long run.